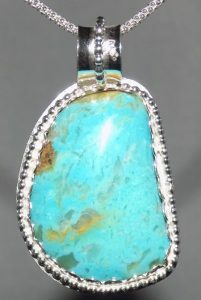 This beautiful pendant is Castle Dome Turquoise. It is so named because it originates from the Castle Dome mine. 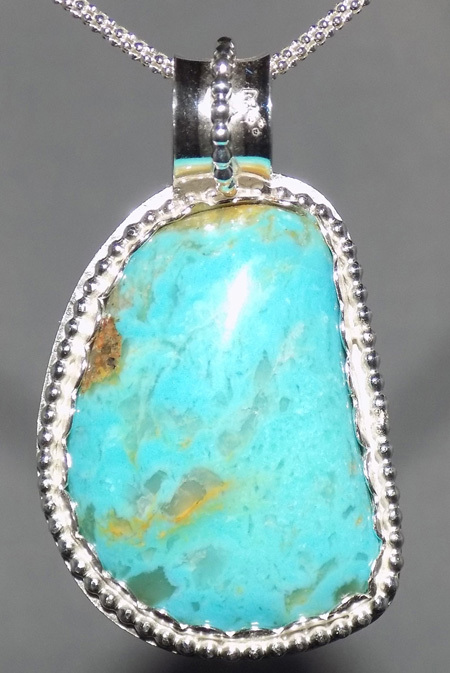 It is the only turquoise mined that has quartz crystals growing inside it! $156.00 including free shipping within the US. This beautiful stone and Sterling Silver pendant is approximately 1 7/8 ″ tall, including bail, and 1 1/8″ wide. The necklace includes an 18″ Sterling Silver Chain.